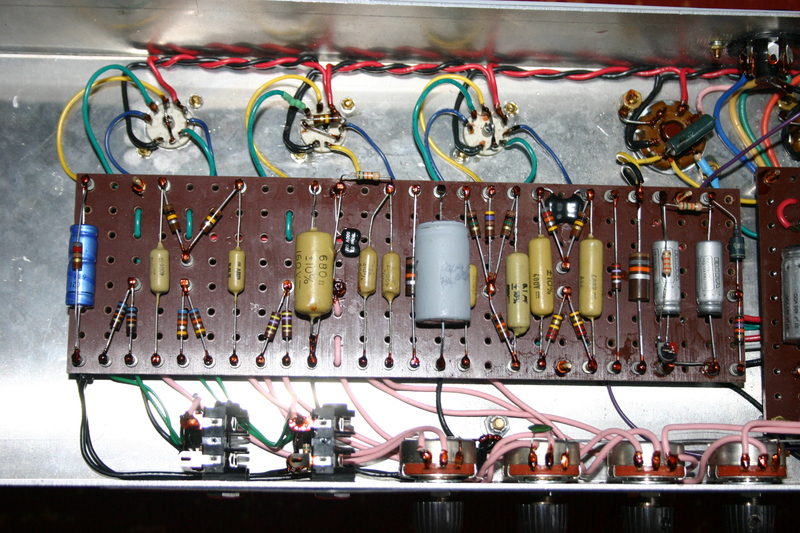 The following pictures are various amp builds and are just raw photos. 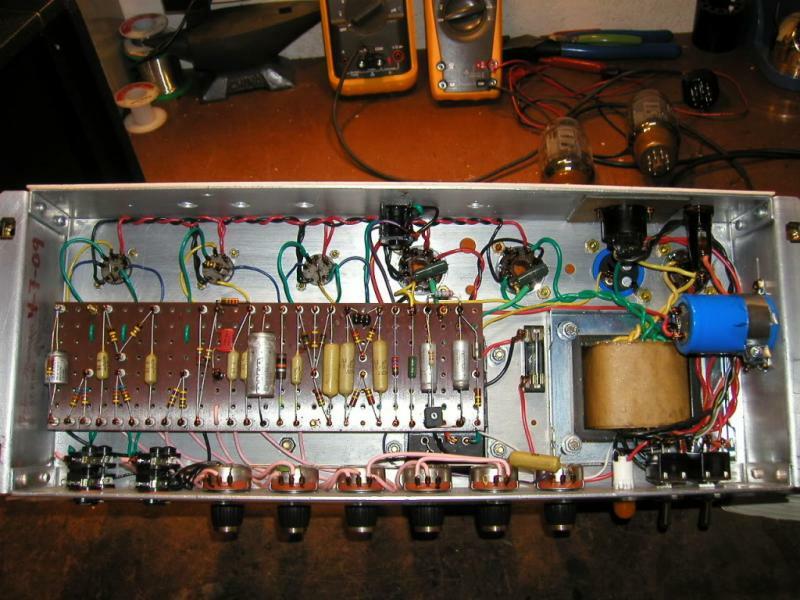 Some pictures are durring assembly of unfinished amps. 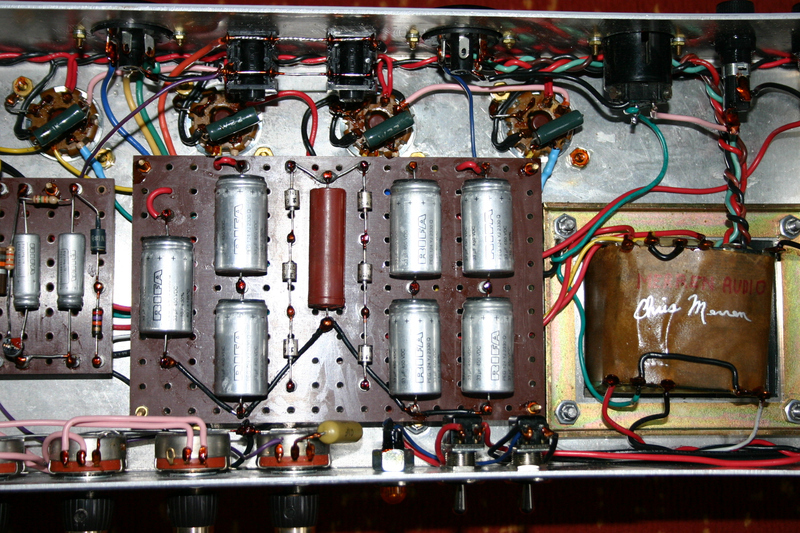 We have sourced pink color wire from the UK used in early Marshall amplfiers. We do not die or color our pink wire. 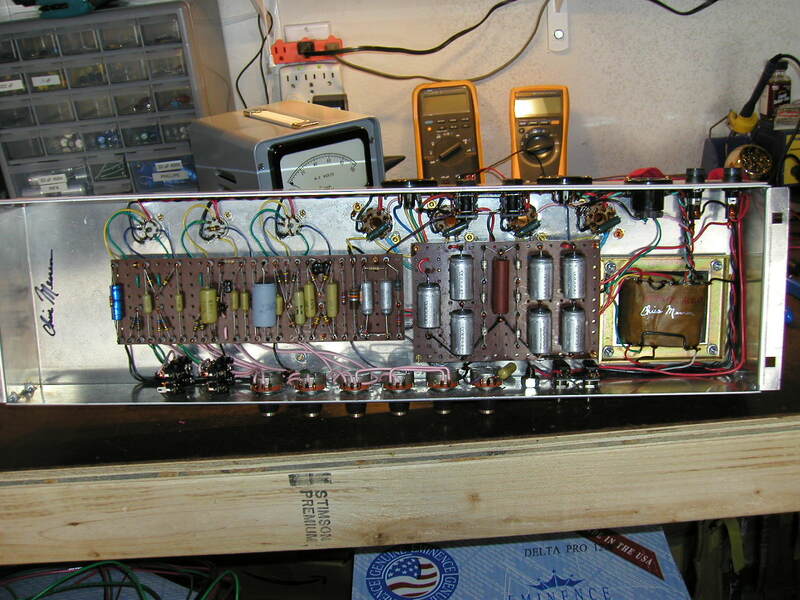 Merren Audio JTM45/100 repro amp build durring final assembly stages. I typically sign transformers after winding them. 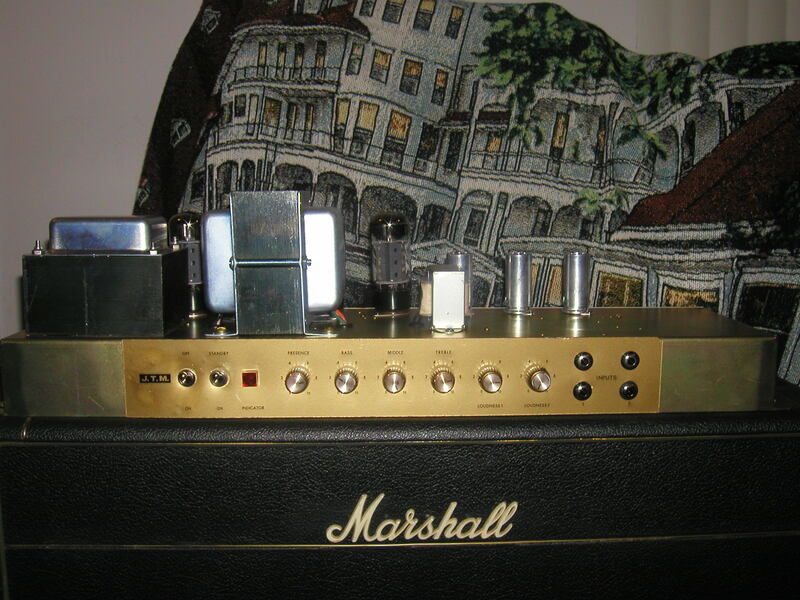 JTM45/100 amp build returning home for new tubes and bias. 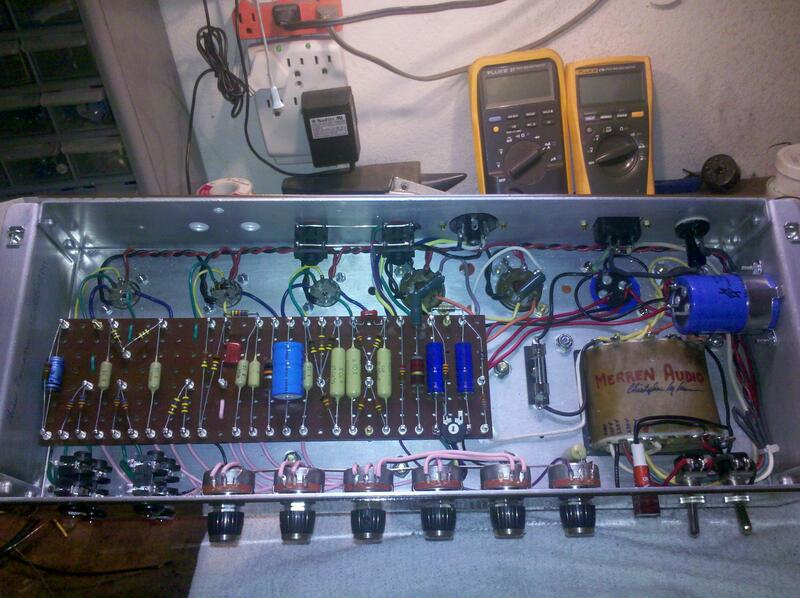 JTM45 amp build durring final test phase. 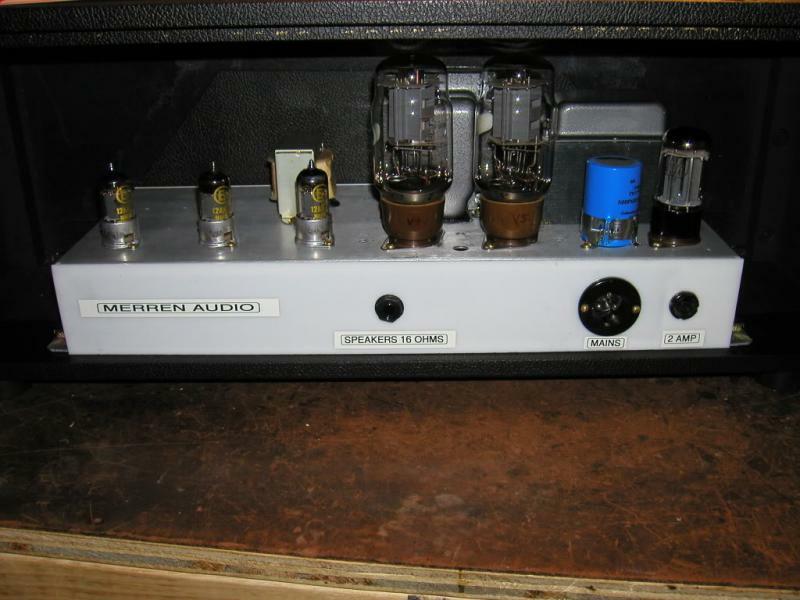 Merren Audio has been making classic amplifier reproductions for over 20 years. 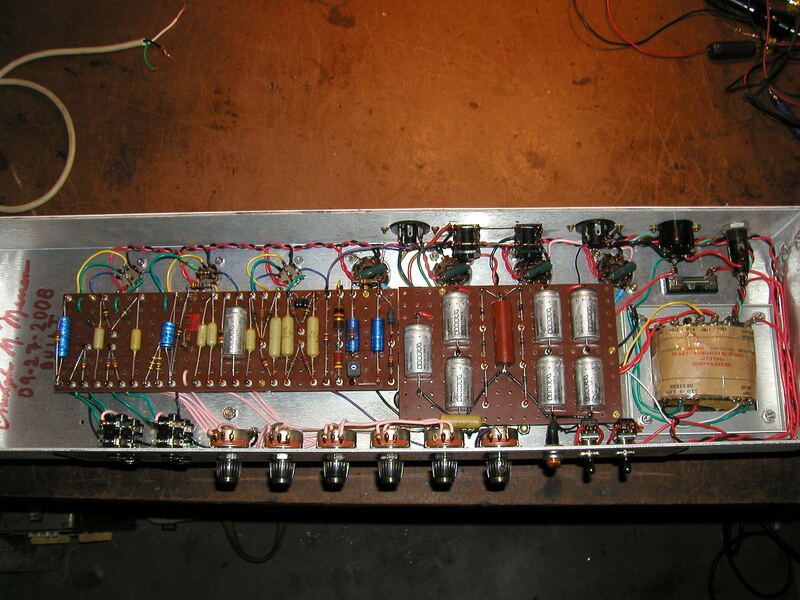 We have been sourcing European components long before it was in vogue. We don't buy and assemble someone elses kits. 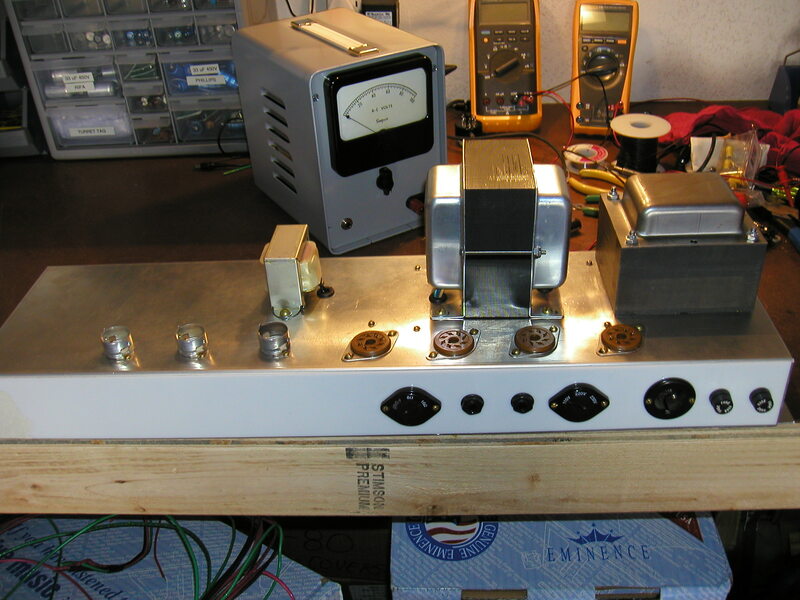 For our premium amps we hand bend our own aluminum chassis and hand drill all holes to original dimensions. 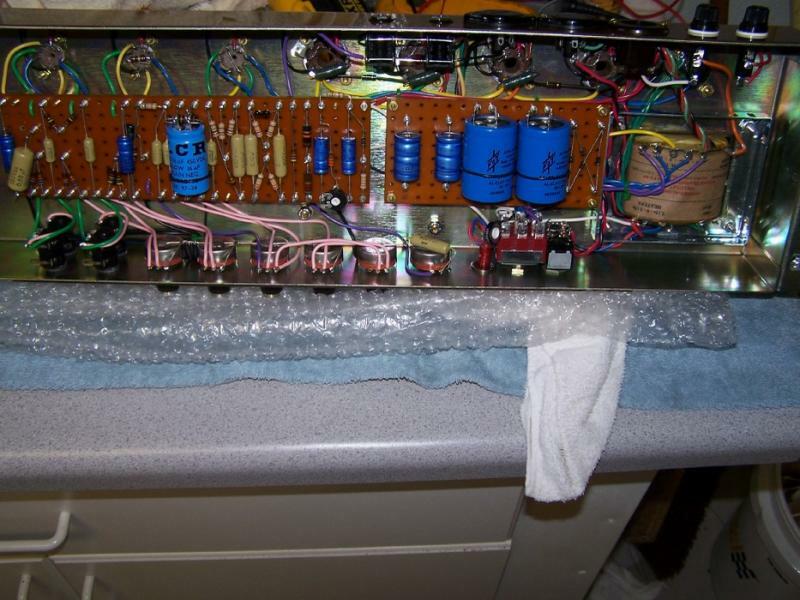 Transformers are hand wound on premises. 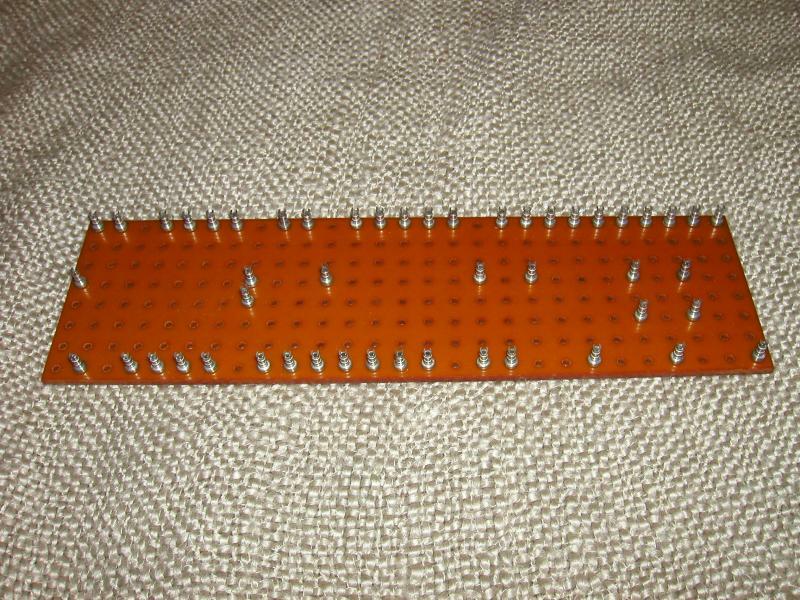 Our perf boards are machined and hand assembled from material sourced from the U.K. 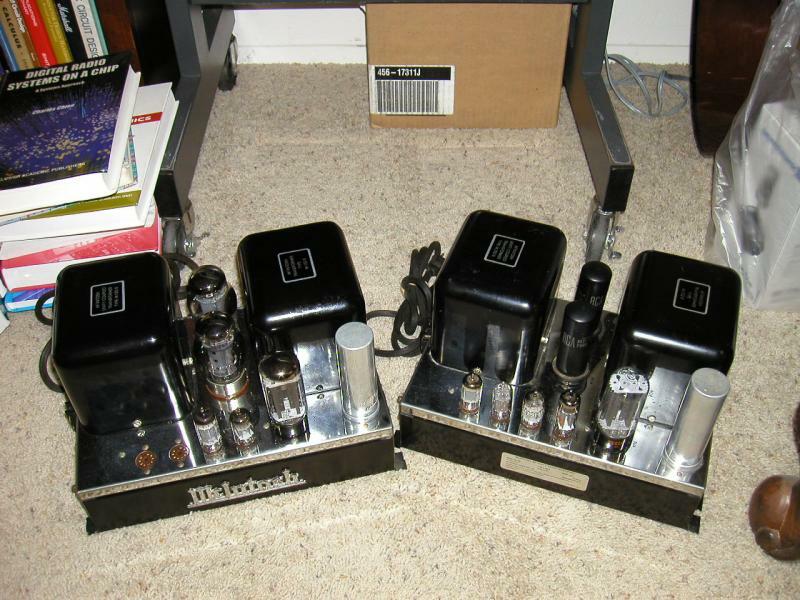 Copyright 2011 Merren Audio. All rights reserved.